I wrote recently about Design vs. Evolution based thinking. In that piece I outlined the basic concepts and made an attempt to capture some examples. Here I’m going to expand on those examples in a cleaner format. Hiring: In Design-based hiring there a few people who have the magic information about what the best hires look like. In Evolution-based hiring you realize you have very little idea who will and won’t work, so you try many people and wait for the stars to appear. People Management: In Design-based people management the boss has the best ideas and the workers are just bodies who execute commands. In Evolution-based people management the people are encouraged to be the creators and the manager is there to encourage them to create, collaborate, and market their ideas externally. High Performance IT Shops: In low-performance IT shops the developers are restricted by hundreds of rules, and friction is extremely high. You have to wait forever to get new infrastructure, to make changes, and anything else. All change is controlled from the top. In high-performance IT shops the developers are free to create and test ideas quickly by spinning up their own infrastructure, making and publishing changes quickly, and generally moving and testing in quick iteration. Elite Sports: In elite sports they used to select ideal candidates who had the ideal backgrounds and attributes, and if they didn’t work out they’d go back and find someone else using the same method. In modern elite sports they don’t trust any backgrounds or attributes; instead they test many, many people and look for those who stand out. Advertising: In advertising there is a concept of creative campaigns where the smartest people get together and create their own individual ideas which are then brought to a selection team to determine what will get run. The next generation of advertising will be having dozens, hundreds, or thousands of campaigns that are tested quickly to see which have great reactions in the audience. Workplace Diversity: In the past people thought that successful employees looked like X. So we hired lots of X’s. That’s Design Thinking because it assumes you know what will work best. What we’re realizing now is that having many different types of people on the team—most importantly including women—dramatically enhances the team because it brings different perspectives to problem-solving. Education: Recent traditional education has a few rigid concepts being formed and pushed downwards onto students en masse. Modern education has students exposed to many more ideas and concepts and gives them the freedom to explore. Security: Many traditional approaches to security include the idea that if you do X, Y, and Z you will be secure. But inevitably those fail. A better approach is for 1,000 different layers across the people, processes, and technologies to incorporate a security mindset in what they do. It’s reliance on 4 defenses vs. modest improvement across 1,000. The Gig Economy: In the traditional (legacy) economy, if you wanted a solution like food delivery, or cat-sitting, you needed to have someone create a business that hired people and got big enough to reach your area. In the Gig Economy everyone becomes their own company that offers a particular set of services. Then you can get cat-sitting, car-washing, fuel delivery, creative writing assistance, or whatever you want from thousands of people just like you instead of from one or two companies. Government: In traditional government the leaders have ideas about how to lead and they push those down to the masses as policies. In the mid-term there is representation of the people in government, but the idea is still much the same. In self-government the people will create and vote on their own shared policies at the population level and will have far less lead for traditional government. Creativity: People have long known that reading makes you more creative, but there’s not a great explanation for how that works. The Design vs. Evolution model explains it well by thinking of ideas as genes, and reading as the courting and reproduction of ideas (with modification). So people with ideas consume more ideas, and these concepts mate and reproduce in the mind, ultimately producing flashes of creativity. 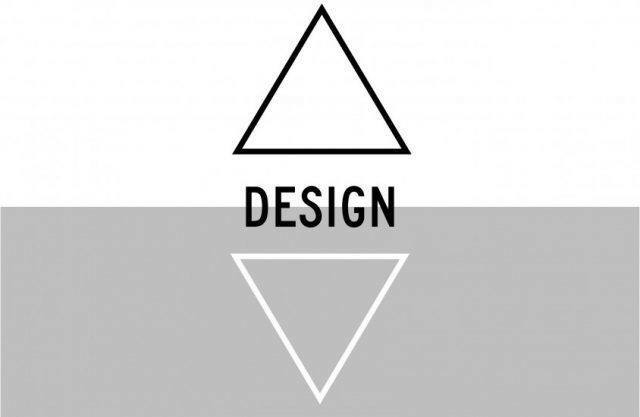 Design is all about few people at the top thinking they know best, and or a top-down structure of managing improvement. Evolution is all about combining many different things, having them combine and reproduce to produce new ones, and then quickly testing to see how effective they are in the real world. It’s also the bottom-up approach to improvement, where you harvest the creativity of the masses and management becomes little more than an enablement and encouragement function. Much of the world is still stuck in Design Thinking, and could likely benefit from a move towards Evolution.